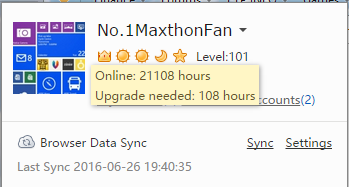 Unwittingly, You and Maxthon already has stay for 13 years. Thanks you never leave us! After many years, Maxthon still stay with you. Does the person who recommend you Maxthon still stay with you? When you start using Maxthon? How do you know this browser? What's feature attracted you joined into this family? Which feature you most love? got a gift or help? or any precious memory only belong to you and Maxthon. I would not say "unwittingly" lol : I discovered MyIe in 2003, looking for an internet explorer shell with tab browsing. And I found MyIe, which was a wonderful browser. Not only it had tab browsing, but also mouse gestures, super drag and drop, it was highly customizable and had thousands of skins and plugins. I was enthusiastic and since there were an english and a french forum already, I suscribed to both. At the time many people where involved in creating plugins and skins, the forum was a very animated place. Everybody was talking about MyIe as a genius browser. In a few words, "MyIe was unique". and then came Maxthon 2. I'm not sure now, it's a while ago... but it seems to me that 3 came with a new modern design and passport login, and cloud push was introduced in 4 ? Now we're on the run to Maxthon 5. Started with myie too. Cant wait for MX5 to be released. 5 years ago, I graduated from university and got my first job in my life. My manager recommend me to use Maxthon browser. Really happy, he still stay with me. I still work in this company and he did't job-hopping. I love my work and team. At first glance, mouse gesture and favorite sync attracted me deeply. I think it's so cool. Then Maxthon become a habit, an important part of my life and work. Keep your good working. I hope MX5 will be the best browser! I came to the MX2 when I got my first Android phone. If you had to have 3,000 favorites synchronized on all mobile devices with Firefox or Chrome a lot of trouble that always means access to everything: The Maxthon automatically without much effort does this that convinced me. Meanwhile work indeed almost all extensions with the 4.9.3 again. Edit OK Google Bookmarks label still does not go, but my wife uses Chrome as you can the fast times do with it. Otherwise you can also discipline yourself so that you would not have ordered. Fortunately, that person still here. He is my husband now. At that time, he was not. We have one Maxthon Passport for life on home's computer. We share the account. I hope can share it with our future daughter or son. very like Super Drag, Multi Search and Split, because my work very need those two function. 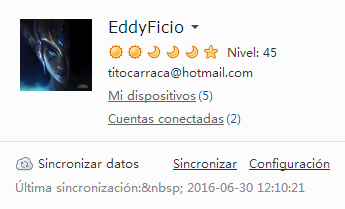 I still use 4.4.8.1000. Hope Split can come back in MX5. I used it 3 years. Big thanks your loyalty and support for Maxthon and Forum. I know we have many weakness, we will keep hard working to provide better service and browse experience. watched those reply, so moving...many people have used Maxthon since MyIE. Because of those wish and loyalty, we must hard working and bring new and good browser. I think a breakthrough is already that of the 4.9.3 no longer crashes Flash on Facebook games . Everything else is just comfort as an example the addons and extensions. Of course, I do not want to give up everything as in the Nitro, but you can still have to improvise a lot and A.S. taught me how to deal with bookmarklets. The MX has always been interesting from 2 - 4. If they bring out a "new" Firefox or Chrome, which is a much different than their predecessors? And Vivaldi is a nice gimmick. I use a tablet an old CATNOVA the first generation and MX_2837. Everything about MX_2837 as I can not in the options. I had also been other tablets, but which have adopted sooner or later. The Cat Nova itself crashes every few days from, it still has Android Lollipop, but I'm building the system itself to where others write letters in time. 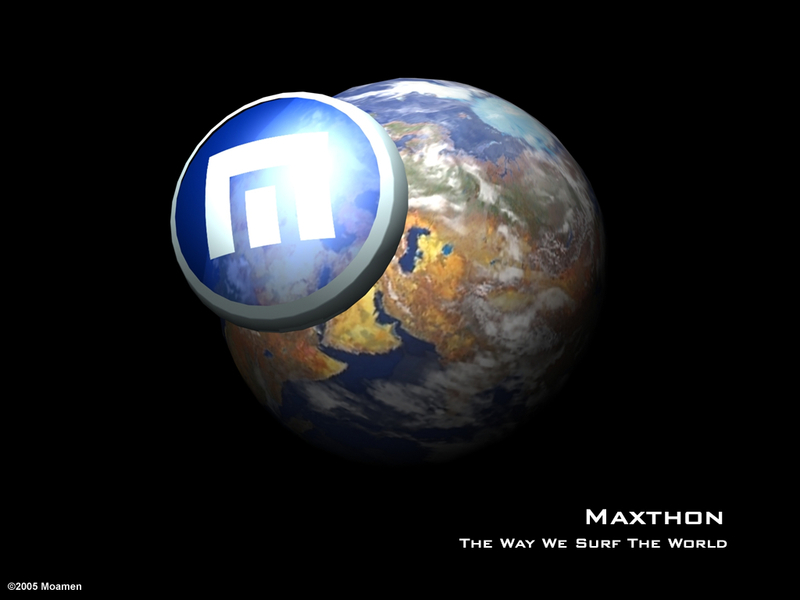 In this regard, I say that it benefits no one, if you criticize the Maxthon team with bad words, because here we have a forum where moderators and developers take time for the concerns and needs of the user. I have never seen a forum where you can so actively involved. The feedback is enormous and the Forum has increasingly optimized over time, what is happening and by the input of the active users. I am a member of my Phones, Tablets and Desktops, if something does not work, then I swear utterly desolate that knows the team from me lol but I also give love to the BIG LOB on to a tireless work with many people who are not properly understand. That's the way it is. And what I wanted to say with Cat Nova: What MX to use everything is always synchronized. Thanks Maxthon team. I asked, Split will back! I love mouse gesture and favorite syn too ! Thanks for your loyalty and support all the time, Chantao. We will do better in the future. 3000 favorites sound so cool. I also will follow the Google Bookmark problem in "General Support" and trying my best to solve it. Nitro also support for bug fixed but less addon new feature. we hope it keep simple and fast. and never give up it, I like it so much too. too fast than any browser ! MX5 will fix a lot of crashes and flash problem, because it change the core. I do this work, sometimes when I see some bugs can't fix, I also feel very sorry. when I hear this, I'm so happy. Wow...very insightful! 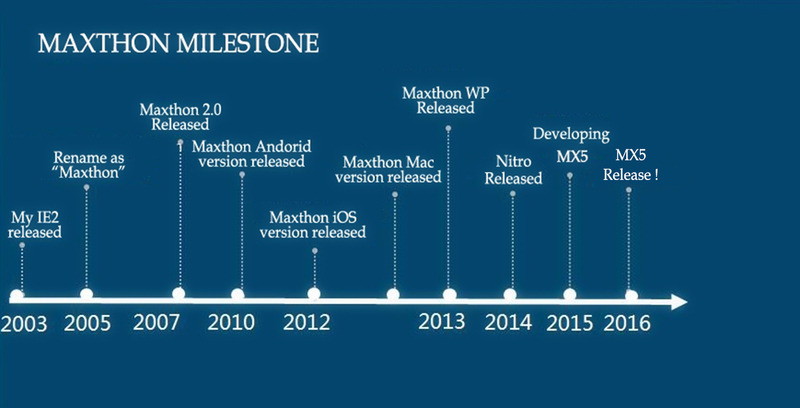 Thanks for walking us through the history of Maxthon. Tara left to go work for Trillion instant messenger and was not very active by the time M2 came about, although she maintainde her plugin page for some time afterward . M2 was still based on trident, M3 was based on chromium(webkit). 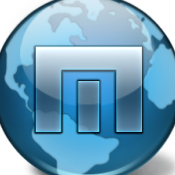 No one introduced me to Maxthon(MyIE2) it was simply the best of a whole slew I tried, it offered more customization then many esp how it dealt with tabs. I started using MyIE in early 2004, I think it was MyIE² when I started my University. In 2006 signed Maxthon Passport up to have favorite anywhere PC enter Maxthon acc. I used all versions to date, still using the Maxthon, always. I prefer to use the portable versions. Hello there! My name is Momo (that sounds ridiculous now, what was I thinking) and I'm what would be named, a "lurker"
Now I knew Maxthon as it was just renamed to Maxthon from MyIE, I remember how incredible the amount of features included were. I remember trying to look for an alternative to..umm...Netscape, starting with Avant browser, getting to Firefox and finally Maxthon. This was back during what was called the browser wars, it was insane, firefox had a huge following, everybody went crazy talking about browsers, you can say it's like iOS/android of its generation. But putting that aside, this forum was nothing short of inspirational, my 16 years old self learnt a lot about everything here; technology, sense of teamwork, leadership and let's just say proper English! I can list many names that will give the long time community members serious nostalgic tingles. There is nothing more fun than speculating that Tara is a robot or not because of her incredible work (holy crap tarapages is still online). Working with JarC on moderation. Chatting with the many members of the community on the IRC Channel (johnnylegend, the channel lurker). abc@home being a coding genius, Neo101 being a coding genius, trying to imitate ldfa's incredibly cool french forum for an Arabic one (my french didn't improve though), ody keeping the tux avatar Carpediem, ntzphyr, No1Maxthonfan... the list goes on. Now, every single major event in my life was almost documented in some sort related to here, I remember writing random silly stuff about studying for exams on a fan blog I ran for Maxthon, when blogs were all the rage. Mr Jeff Chen asking on how well I'm doing during the Egyptian revolution in 2011, Maxthon communities was my virtual diary, or let's say looking back at all of these feels like looking at an album, it's embarrassing how some of the stuff I wrote/did was (a stunning 1024x768 3d wallpaper for Maxthon, and holy crap this is also still online) but I absolutely love it. I owe Maxthon my love for technology and I'm really happy to see Maxthon gaining entirely new fans. *goes back to shadows* I will be keeping an eye on this new forum! glad to see you Momo ! and don't make me cry ! french forum (and Ldfa) is still here : http://www.maxthon-fr.com/forum/index.php?app=uportal quiet but alive ! I'm still here my old friend. i have many years with my good old friend.. good moments and sad moment butstill here today. 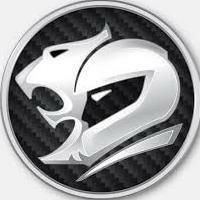 FF was '11 so mad to me (slow, buggy), i seached a new browser, i tested many of ther and Maxthon3 was the best of all. I had a GPU on my computer that I could hook up my tv to, and the only browser that worked well with it was Maxthon. Not even IE worked well with that GPU. In the letters section of a PC World magazine, somebody asked why they didn't include Maxthon (and some others) in an article about competing web browsers. That was the first time I'd heard of it, and decided to give it a try. Since then I've gotten other gpus and other browsers (including Edge) work well with it, but Maxthon is still the fastest. Thanks for making an awesome browser, can't wait for Maxthon 5. [EDIT] Oh, and I also have an iPhone that I use Maxthon Mobile with so I can sync favorites between my computer and phone.